If you are one of the many people moving into or have moved home recently, then you are in luck! Why not try something new and exciting from Homes Direct 365 that can really make a house a home? Depending on your previous experiences with furniture, the realm of French design can seem a somewhat daunting place to begin. The living room should be a place where you kick back, relax, entertain and spend lots of time with the family. Creating a space that feels inviting and warm can be a challenge, but by combining different elements of French style a lounge can be transformed into something stunning! Take bookcases, for instance, these particular pieces are a quick and easy way to inject some French glamour into your home. The range of bookcases available varies all the way from straight lined, quaint pieces to boldly carved and ornately designed ones. Popular colors include antique whites, natural oaks, and creams with distressed finishes being commonplace on most pieces. 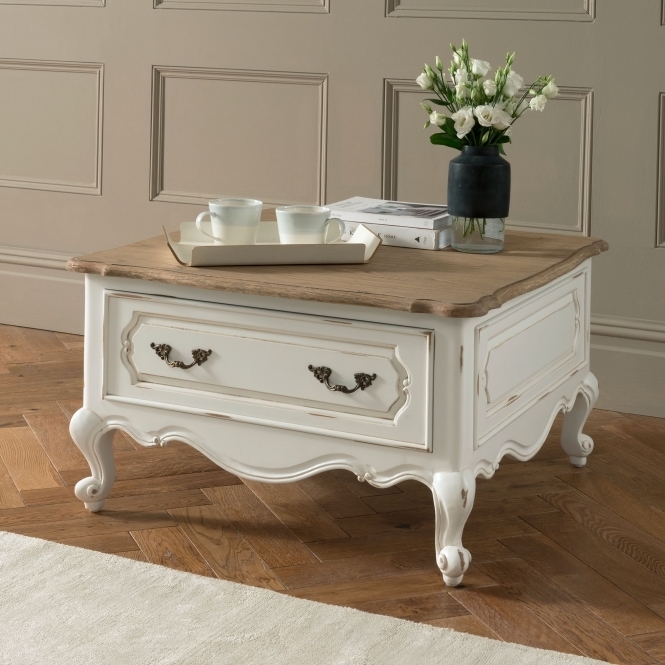 Side tables are also a great starting point for introducing some French charm into your interior. Familiar features include intricately shaped legs with delicately etched carvings. Look for pieces made from mahogany, these guarantee good quality and will stand the test of time. 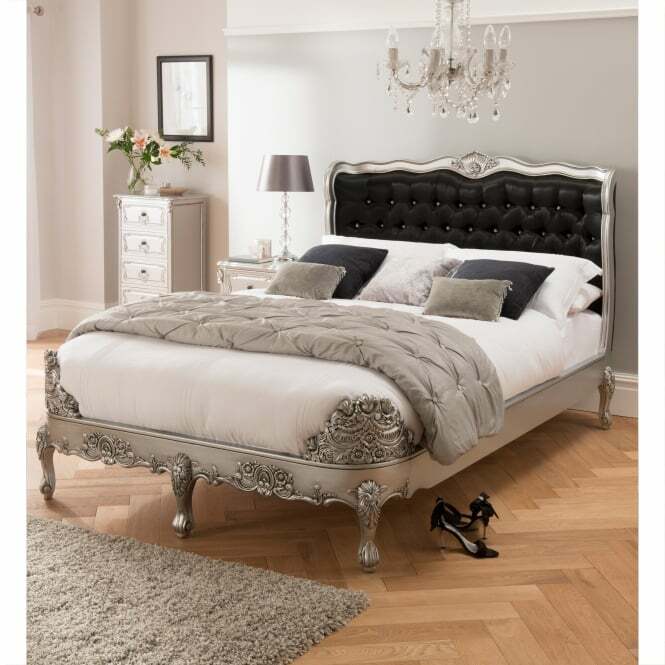 Bedroom furniture is one of the most sought-after aspects of French design, with beds being very popular. 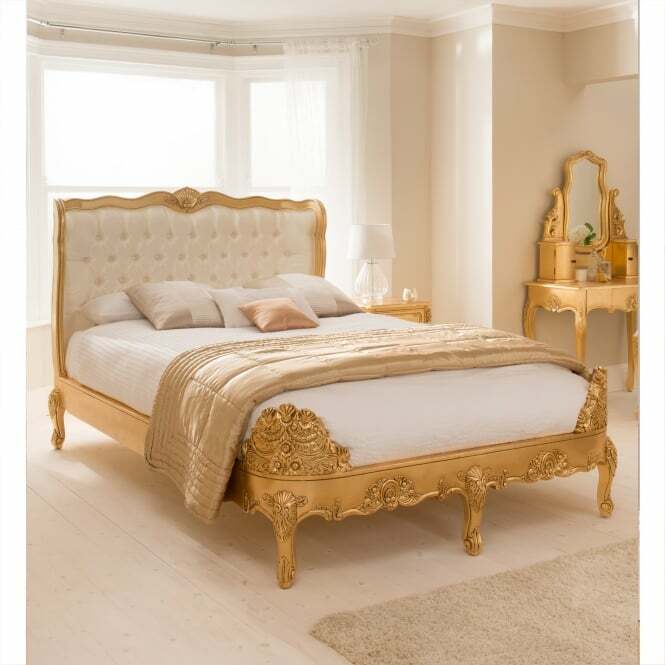 Whether it is a sleigh, rattan or rococo bed that suits your taste all are widely available in French bedroom design. Wonderfully drawn carvings are frequently present on beds such as these with some being more elaborate than others. Upholstery in this sector is very important and can really transform the feel of any French bed. Try combining sumptuous silks or crushed velvet's with beds that have wonderful deep button detailing; these truly are a match made in heaven! For pieces with a more minimal design, linen upholstery makes a great companion. Chests of drawers are the perfect friend for a charming French bed. Pieces with lovely silver leaf detailing and beautifully shaped feet are ideal for transforming any relaxation space. Equally Venetian pieces with smoked glass finishes make a great alternative to typical French chests and still retain a distinctive character. • Provincial furnishings. This kind of furniture was made in provinces like Blois and Lyon. The peculiar features of this style can be mentioned as cabriole legs and simple scalloped carving. Another prominent feature generally found is wheat pattern carving. • Parisian furnishings. Prevalent in the metropolitan cities of France the Parisian furniture was greatly influenced by fine arts and emphasized on the luxury Component. • French royal furnishings. This style received a boost in the reign of Louis XIV who set up the Manufacture Royale des Gobelins controlled by his minister of finances. The artists were patronized and encouraged by giving them spaces in the galleries. This style was rich in taste included practices like the use of silver Furnishings in the furniture. Recent times have seen the French style furniture evolve still with the use of new materials and a blend of old and new design practices. But the underlying basic design remains the same still. 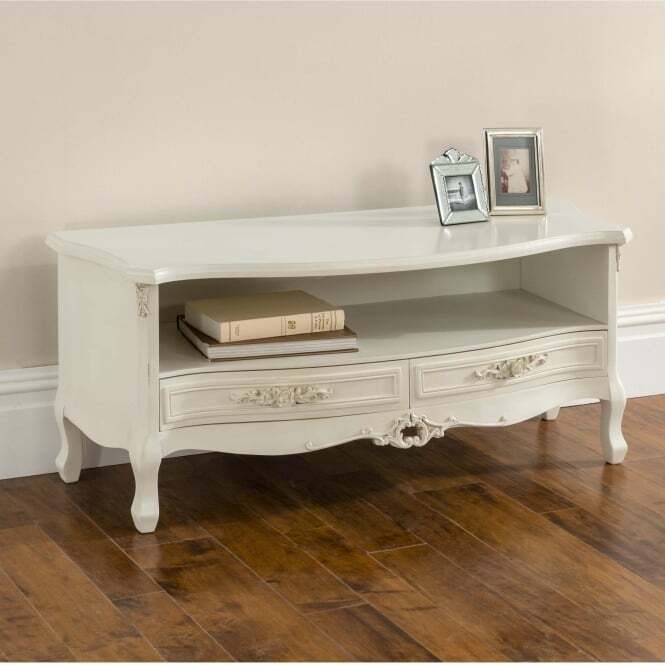 Today HomesDirect365 customers have a wide variety of choice to buy from amongst the contemporary French furniture range. The options available include beds, tables, chairs, dressing tables, cabinets, chest of drawers and a host of other items for all types of requirements ranging from kitchen furniture to kids. 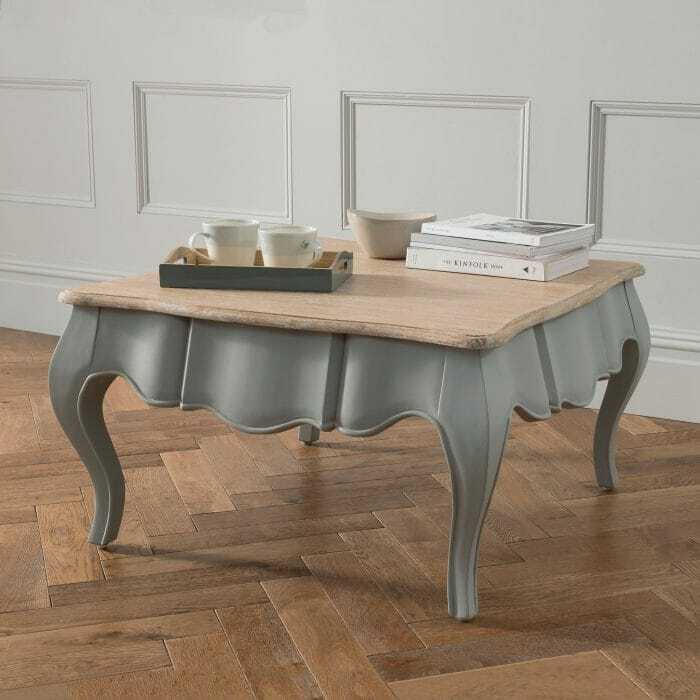 This style has braved time and is still as popular amongst the art lovers and common masses alike, as was five hundred years ago, supported by the fact that it still makes up a considerable volume of the total furniture sales at HomesDirect365 and throughout the world. It is expected that the trend will only look up in the coming times. 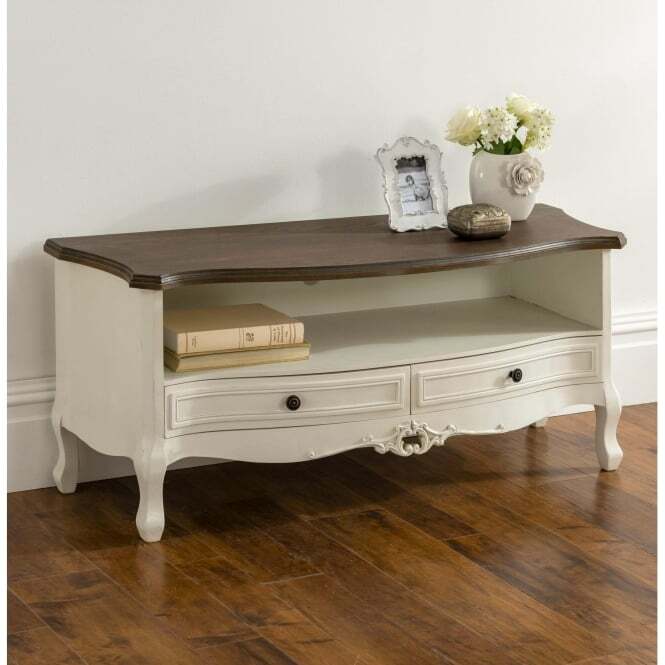 Homesdirect365 are an online only retailer specialising in antique French furniture, shabby chic furniture, mirrored furniture & french bedroom furniture available for all rooms of the home from bathroom vanity units to decorative mirrors to gorgeous bedroom sets. ​We have a constantly increasing variety of over 10,000 beautiful furniture and home accessories.